The Dellenbaugh story illustrates the role artistic interpretations of Zion National Park have played in making the southern Utah landmark an international travel destination for millions of visitors each year. What we now know as Zion National Park was originally called Mukuntuweap National Monument when President William Taft set it aside in 1909. The name changed to Zion in 1918, and it became a national park in 1919. Whatever one calls it, the place marks its centennial in the coming year, and part of the celebration is an art exhibit of 68 pieces, which runs at the St. George Art Museum through Jan. 24, 2009. 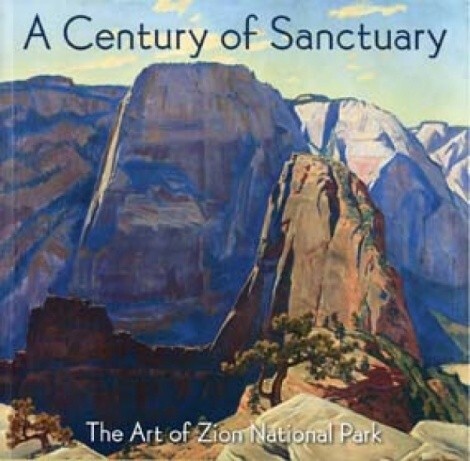 Those pieces, along with many others, have been collected into a book illustrating the wide variety of ways Zion has been interpreted by artists. The gathering of paintings (and the occasional photograph) alone makes this a worthwhile visual venture, but the essays by Hafen, Peter Hassrick and Deborah Reeder make for an intellectually stimulating journey as well. Of course, the best way to experience the amazing vistas of Zion National Park is actually to visit the place. But for those who don’t live close enough to drop by on a regular basis, the next best way could be to see it through the eyes of the gifted artists presented in this book.